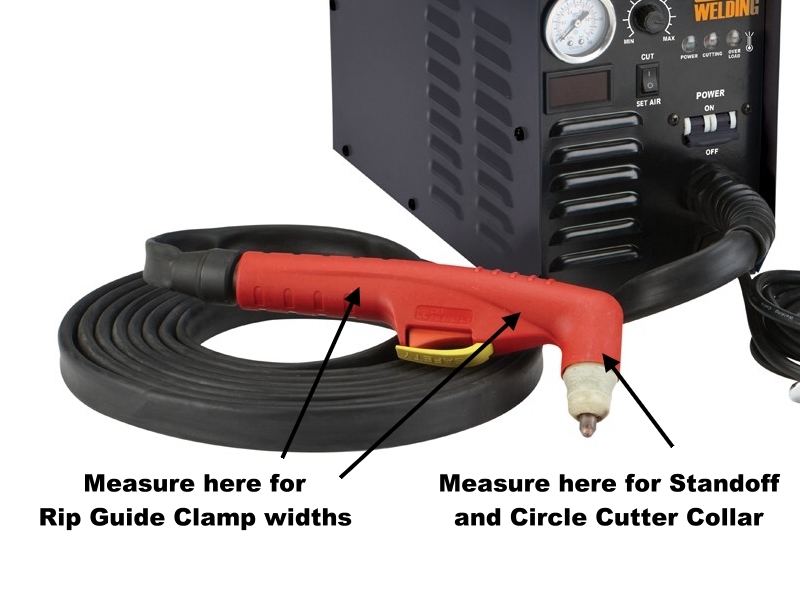 Here are some examples of where to measure for the PlasmaHelper Torch Attachments. 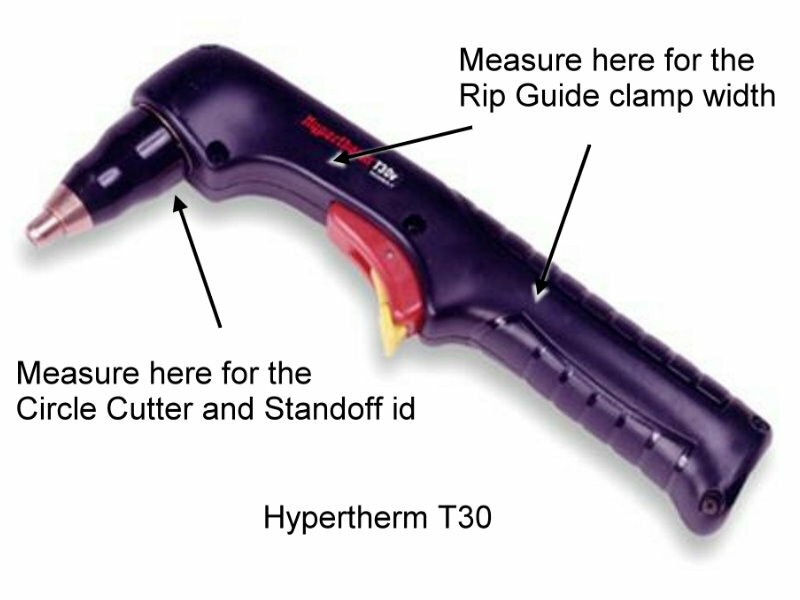 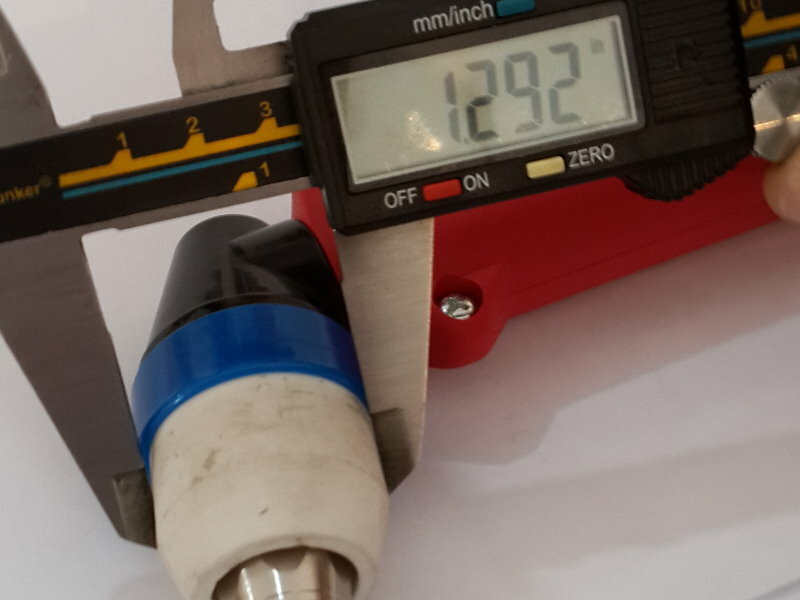 If you are unclear where to measure then send us your torch model and we will add it below. 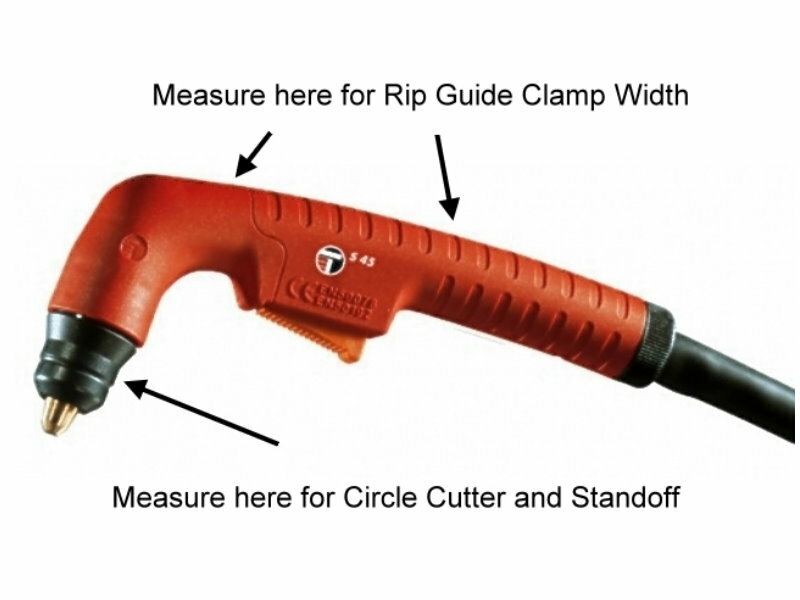 Some torch handles are narrower in the front than the back. 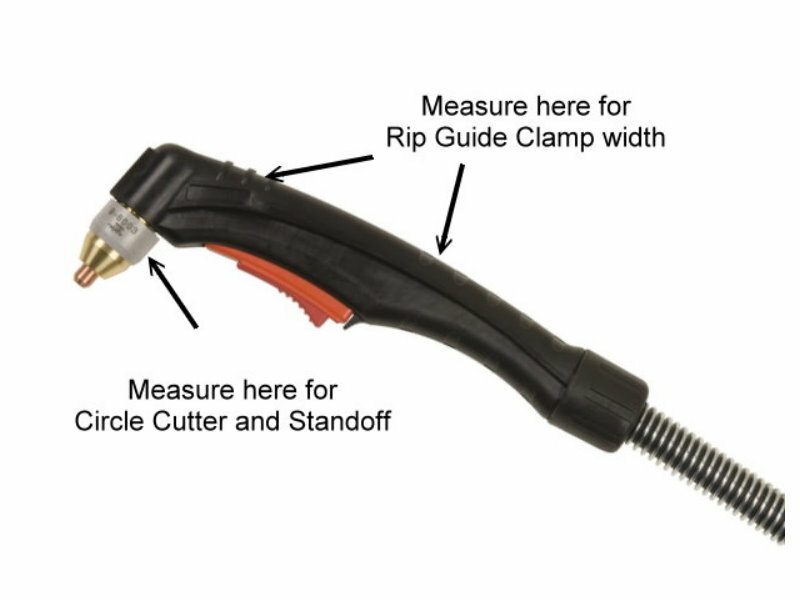 Front and back clamp sizes are available for the Rip Guide. 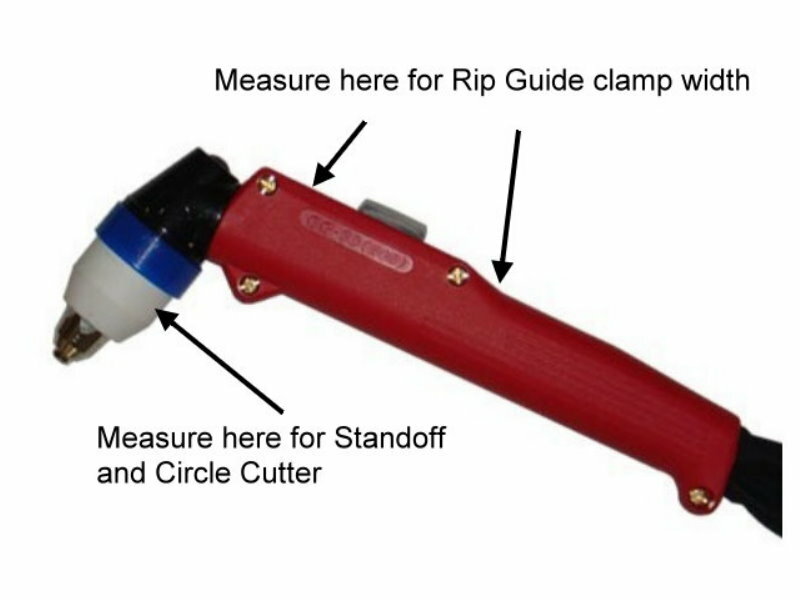 The Circle Cutter and Standoff both use id for size. 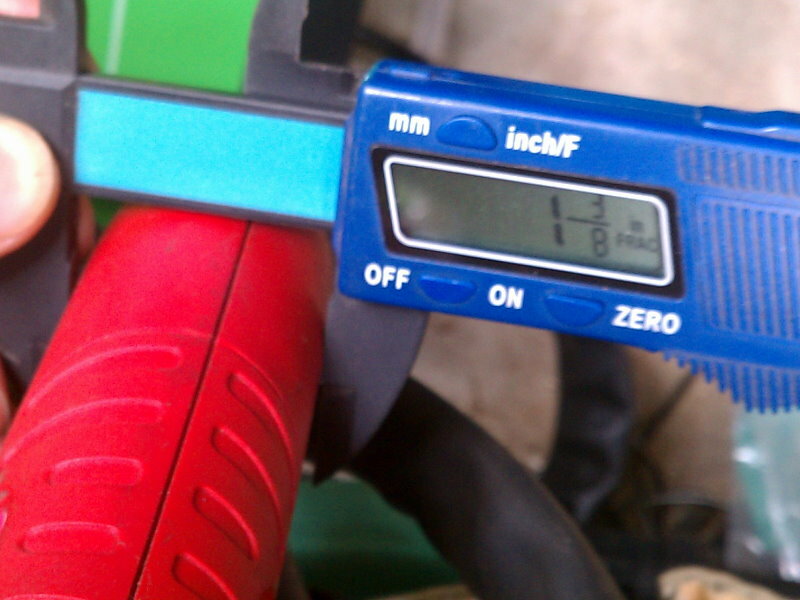 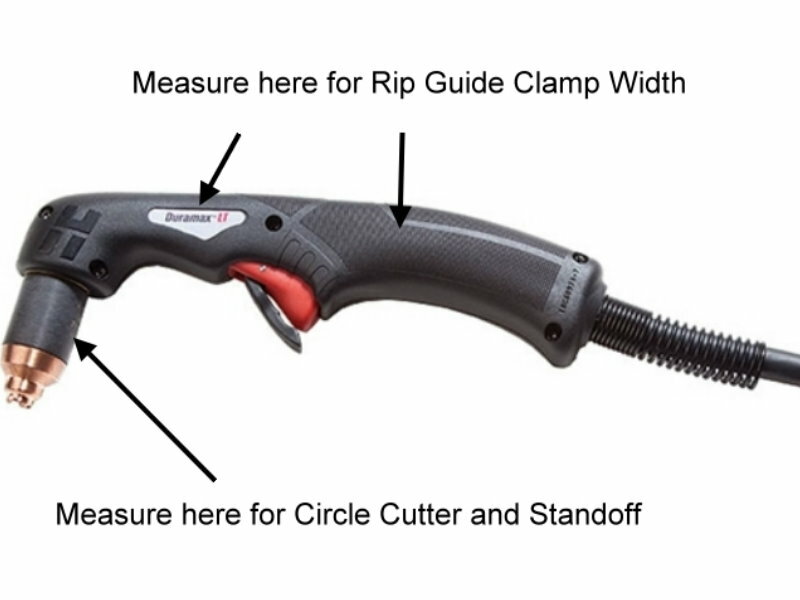 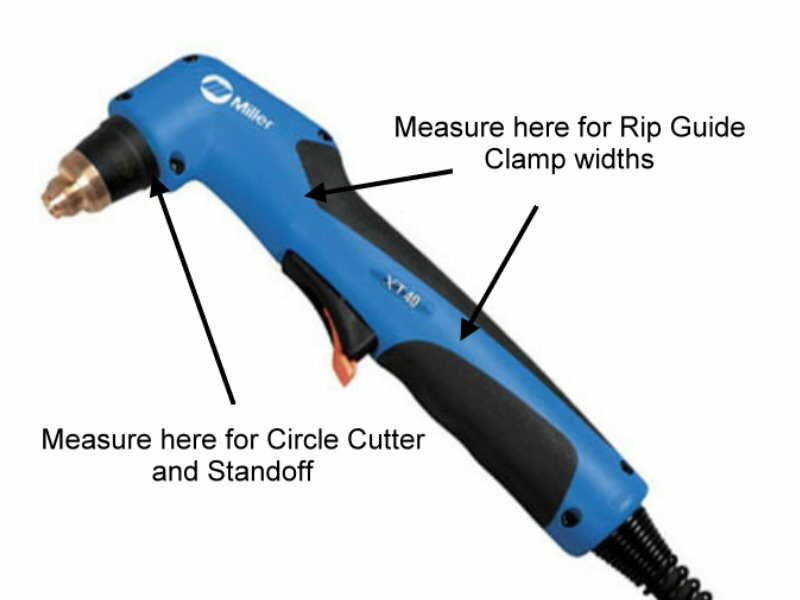 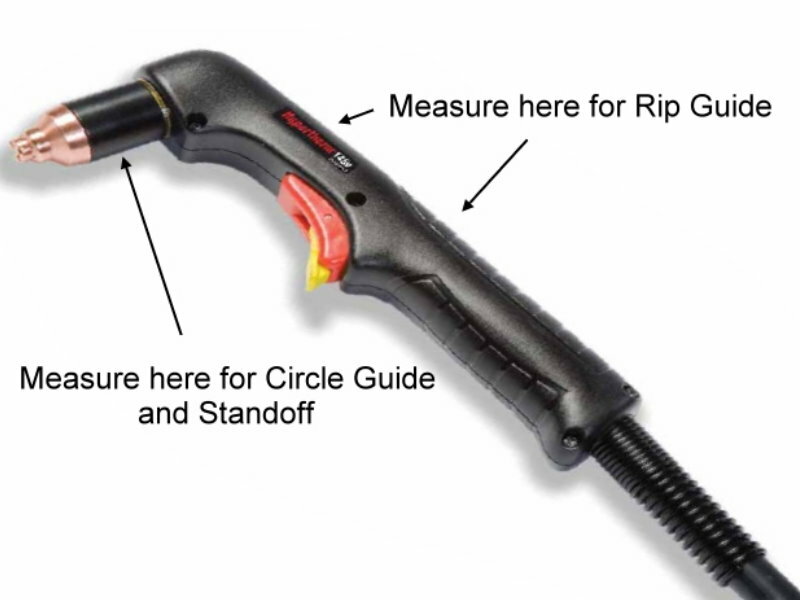 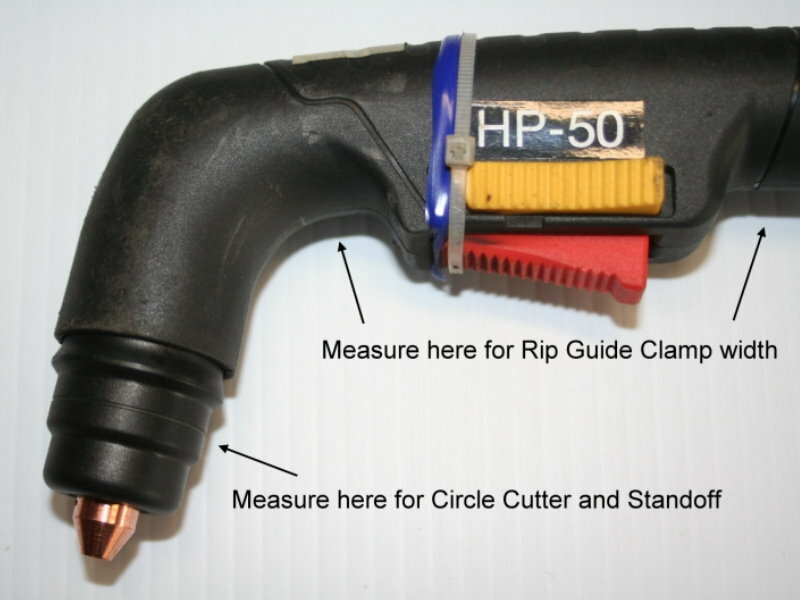 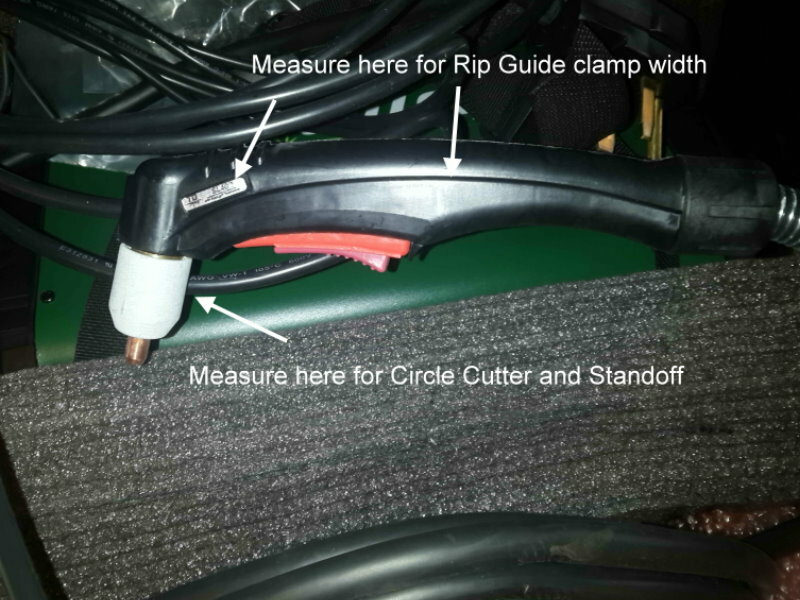 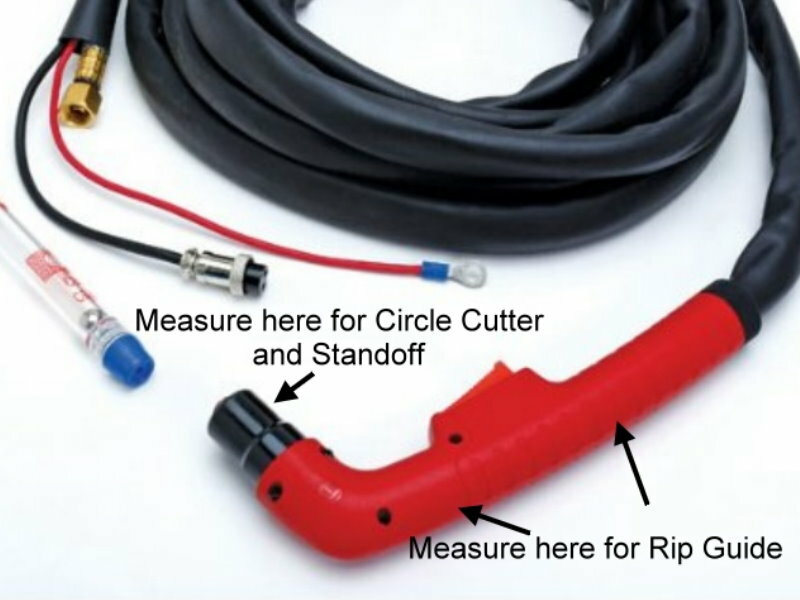 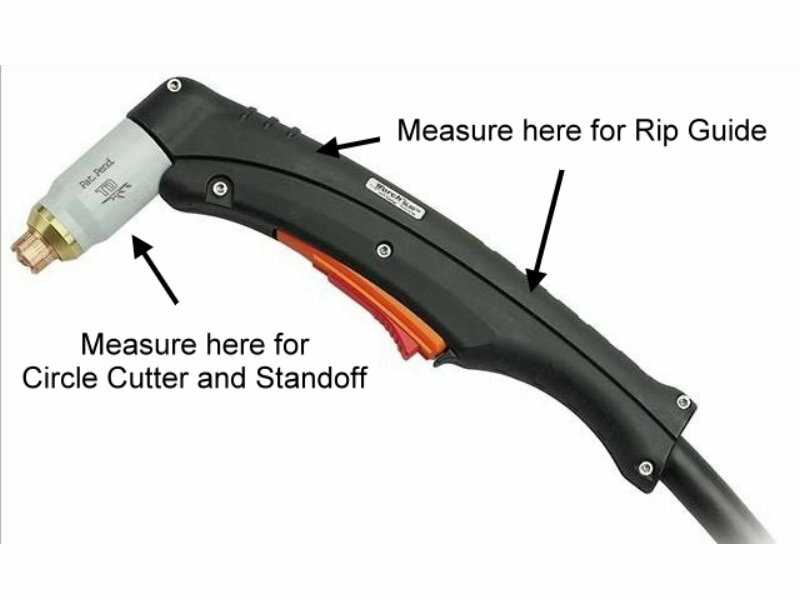 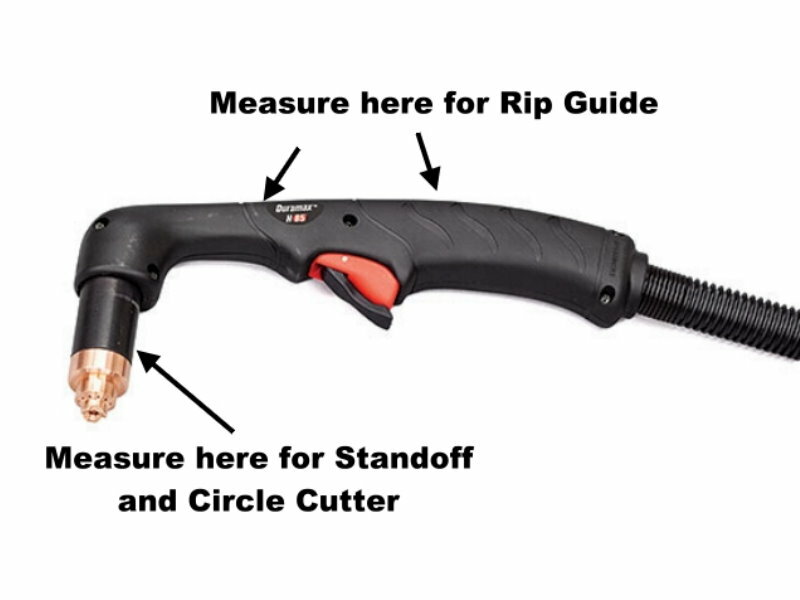 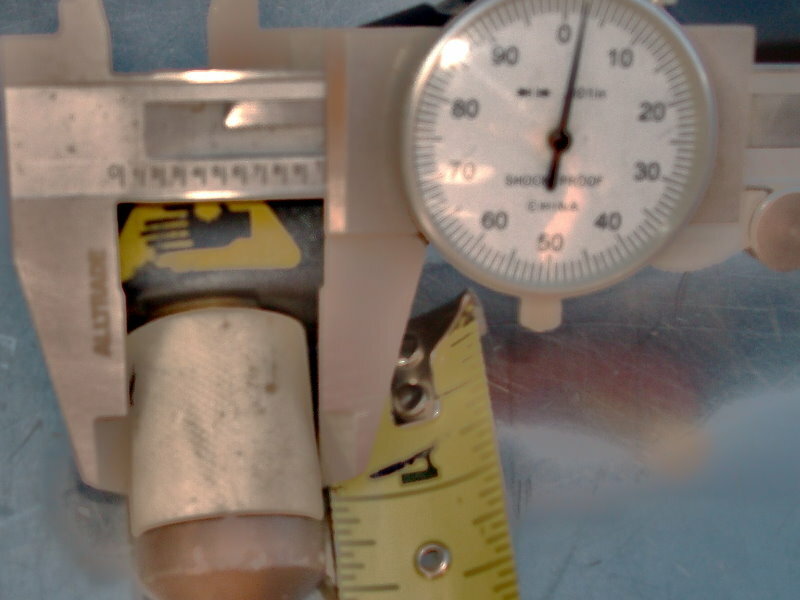 Measure you torch where you want to mount the Circle Cutter collar or the Standoff and pick the size you need.